I can’t count the times that I’ve heard stories from fellow female gamers of being treated badly as they shopped for games in shops. It isn’t often that I will talk about how I am treated in a gaming shop. I’ve never had a bad experience per se, but rarely do I have great experience either. The most I usually hope for is to not be hassled when I go shopping in a game store; which actually isn’t often. Last Saturday though I swung by the local Gamestation store to peruse their used games and see what kind of deals they hasd running on them. Often they’ll have 2 for £20. So I’m in the shop with my hubby yammering away about what games to get and ended up with 4 games in my hands. Yep, I got suckered into the 2 for £20 as usual. I wandered up to the counter and handed my boxes to the guy behinf the counter as usual and he turned to get the games for me. 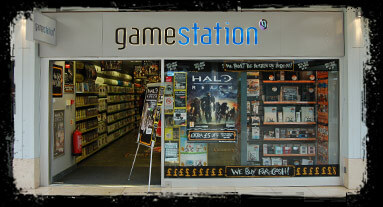 As he’s ringing me up he makes a comment about one of the games I was buying then light chit chat about upcoming games. This wole interaction took all of maybe 5 minutes, but that was 5 minutes that made me smile. For once I was greeted with actual interest like I was just another gamer instead of being ignored like I know nothing or them directing replies to my husband who’s standing behind me. That I think always annoys me the most. Yes my husband is a gamer, but he’s not as heavily into console gaming as I am. My knowledge of console games vastly outstrips his. (To be fair his tabletop gaming knowledge is staggering.) If I say something though, don’t turn to my husband and reply; nothing annoys me more. This counter jocky though didn’t do that. He talked to me and we gushed and chatted as he rung up my games. Never once did he treat me like I wasn’t there or hadn’t said something. In short, he treated me like just any other gamer.